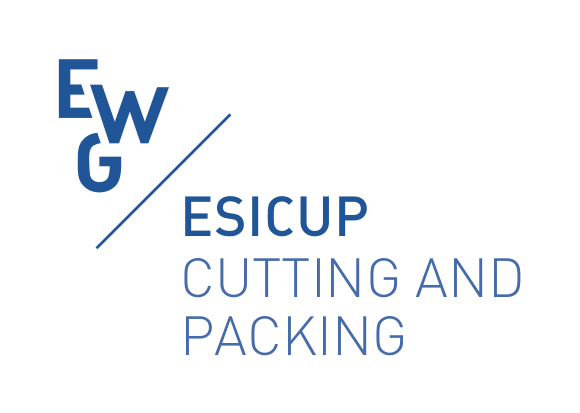 The 15th ESICUP Meeting is the 2018 regular meeting of ESICUP (EURO Special Interest Group on Cutting and Packing) and provides a forum for those working in the Cutting & Packing field, bringing together researchers from all over the world. This year edition will take place in Zoetermeer (Rotterdam The Hague Metropolitan Area), Netherlands. Zoetermeer, The Netherlands, May 23 - 25, 2018 .